In a World Just Right…. You know what’s exciting? Book deals. Book deals are awesomely exciting. 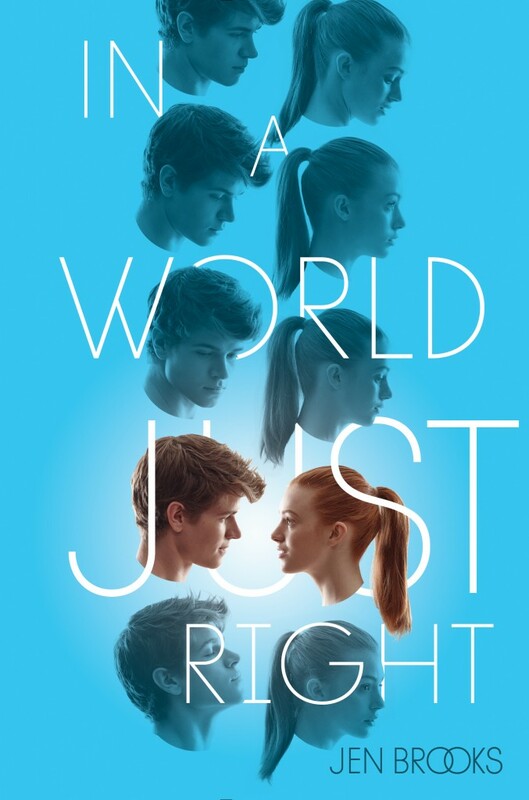 And no, I don’t have one, but I have the next best thing: my friend and critique partner Jen Brooks‘ debut novel, In a World Just Right is coming out next year, and there’s a cover and a giveaway too! You’ll forgive me for gushing a bit, won’t you? There’s so much Jonathan Aubrey would change about the real world. He’d be graduating from high school with his class. He’d have bunches of friends. And instead of admiring Kylie Simms from afar–beautiful, poetry-smart, track champion Kylie Simms–he’d be her boyfriend. Luckily, he doesn’t have to change the real world to have what he wants. He can just create a new one. In Kylie-Simms-is-my-girlfriend, he’s given himself everything he doesn’t have in real life, until one day he confuses his worlds and almost kisses the real Kylie Simms. Now his girlfriend Kylie and the real Kylie are changing, and Jonathan must solve the mystery of his own life to save his love from a gruesome fate. I had the privilege of beta-reading this novel when Jen was in the submission process to editors, and I have to say, sometimes when you beta-read, it’s hard to get really absorbed by what you’re reading, simply because you’re not reading on a Kindle, and you’re not reading a book in your hand. But this? In a World Just Right captivated me from the start, which is really no surprise. I’ve been reading Jen’s fiction since 2006 or so, and her writing style always reaches in, grabs me, and doesn’t let go. And this book is a book that makes good on its premise. So, so good, and guess what? You can win a Advanced Readers Copy! Just click here to visit Icey Books and scroll down for the Rafflecopter giveaway. Trust me, once you get your hands on this book, you won’t regret it. LoL. It’s funny, but when this came up in my inbox. All I saw at first was “You know what’s exciting? Book deals. Book deals are awesomely exciting” and I was just preparing to congratulate you when I clicked on the link and read the rest.